We hope that you are able to join us for these exciting events and hear George speak on God's heart for the poor and te mission of Hands at Work to answer his call. Volunteers from around the world of various backgrounds and ages comprise the Hands at Work team. They mobilise, equip and support the local church across Africa to transform the lives of the most vulnerable. In September 2013, Alice, Amy, Brooke, Katelyn and Devon came to serve. Leyton Wood was a volunteer with Hands at Work in Australia even before coming to Africa. Now back in Australia, he was given an opportunity to share at his church, President Avenue Community Church. Leyton tells stories of the “contrast between hardship and happiness” he witnessed with his own eyes and heart. Hands at Work envisions the local church in Africa effectively caring for the most vulnerable, and unified in this mission with the church outside Africa. The vision of Hands at Work has spread to many countries around the world. In Australia, Canada, Germany, the UK and USA a Hands at Work office has been created by passionate individuals who want to make a difference to Africa’s most vulnerable people. 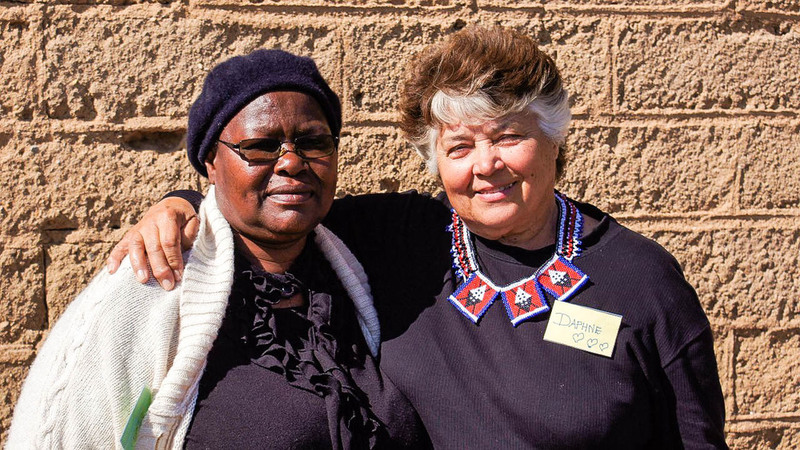 These volunteers and their International Office serve as a bridge between the local church in Africa, and the church in their country. 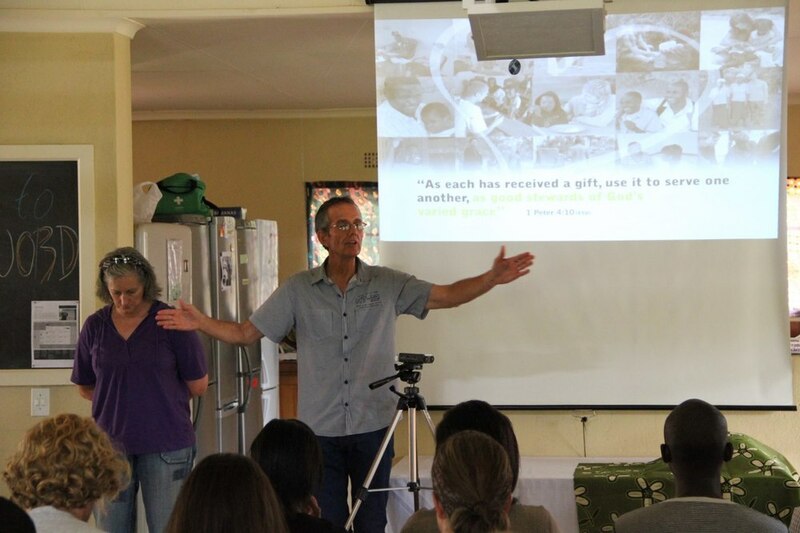 They communicate with and coordinate the volunteers, churches, and advocates who partner with Hands at Work in Africa. Hands Canada volunteers serve as the body of God’s people joined as a family of believers. They are working with churches in Canada: congregations and pastors who have a specific church they call home. Together, the church in Canada is supporting 1,100 children (increasing to 1,410 by mid-2014) throughout DR Congo, Malawi, Nigeria, Zambia and Zimbabwe. Hands Canada volunteers and friends worshiping together at the Hands Canada CelebrationsIn August 2013, Hands at Work Canada came together for a one day celebration to worship God, to learn from one another, and to stand together in support of the most vulnerable people in Africa. Approximately 50 past and present volunteers, supporters, and advocates travelled from across Canada to meet in Calgary, Alberta at Westside King’s Church. For one day, the Hands Canada community was able to be together: to eat together, and fellowship in the way that is so vital to the community in Africa. Many Canadian volunteers work alone or in small groups in each city, often living hours and hours away from other volunteers in other cities. Also, many are unable to travel to Africa to see the work on the ground and yet, they give their time to help further the Hands at Work mission because they want to do what they can to serve the most vulnerable. Throughout the day, multiple sessions were held. “The Jesus We Know” reminded us that Jesus chose to seek out and love the oppressed, and that while saying ‘yes’ to his call to care for the most vulnerable is hard, it will bring us closer to God. “The Wall” presented the wall of protection Hands at Work is striving to build around the most vulnerable children, with Christ as the foundation, and holy home visits as an essential layer. Other sessions discussed teams and volunteers, and gave an opportunity for those who had recently been in Africa to share about their experience. The last session, “Living It Out”, challenged us to live out the life Jesus has called us to, not just in Africa, but in Canada. We want to have holy home visits in Canada where we visit one another to be with those we love as the local volunteers do when visiting children in Africa. Participants in the "Beautiful Feet" Fundraiser walk in chitenge wraps and with buckets of water to raise awareness of the children and Care Workers who walk long distances each day to survive After the sessions concluded, the first “Beautiful Feet” Fundraiser was held. “Beautiful Feet: Walking for the vulnerable children of Africa” is a fundraiser started by Hands Australia. Funds were raised in support of our vulnerable children, who walk many hours every day to get water or get to school, and for our Care Workers, who walk huge distances to visit children in their homes. Participants walked three laps (2.5km) around the church property, on the third lap even wearing chitenges (traditional African wrap around skirts) and carrying buckets of water. This celebration reflected the unity that is vital to Hands at Work volunteers around the world and on the ground in Africa. We are together. We value relationships and the calling of God to love and support one another and serve the most vulnerable no matter where we call home. Ashley Humphreys is a volunteer with Hands at Work in South Africa. Serving from May 2012 - May 2013, she returned to Canada for a few months where she was blessed to attend the Hands Canada Celebrations and connect with the Hands Canada family. She is now serving in Africa long-term, currently with the Communications Team.